If 'Black Friday' was a movie it would have to be done by Tim Burton. The fan-fav director has made a career out of producing mainly family movies with a 'twist of dark'. 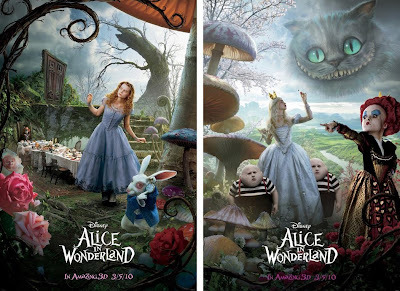 Now his creative hands are taking hold of one of the most imaginative works in literary fiction; Lewis Carroll's Alice in Wonderland - and as these new teaser posters from Disney show he is definitely the man for the job.